Last spring, an in-class presentation by one of my students reminded me that resilience is very different from sustainability. You probably know where this is going. As a proxy for “sustainable,” she was using carbon emissions, and as she described, sea transport can be carbon efficient. So if production practices at home are more intensive than abroad, then the emissions of regional-production-plus-short-distance-transport may be greater than those of international-production-plus-long-distance-transport. Thus, by this logic, imports may be more sustainable. Call it the food miles paradox. 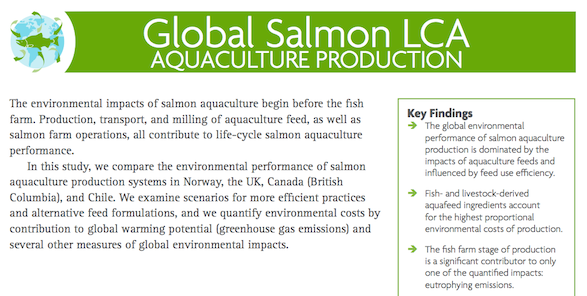 More often than not, the lessons drawn from these types of calculations are used to question the value of local and regional foods, and I’m familiar with such calculations from my work on the salmon life cycle assessment (LCA) project pictured here. However, I draw a different lesson from the numbers. Consider this proposition: The local-regional food movement was never about sustainability. That word can be convenient, when its plasticity serves as a boon to conversation. I use the word sustainability all the time — and value it as a boundary object, something to enable communication across language communities, even though various people may have divergent perspectives on its meaning. The problem is that because food system sustainability is ill-defined, its assertions can lead to paradoxical conclusions, like this one about long-distance food. Try another proposition: The local-regional food movement is about resilience. 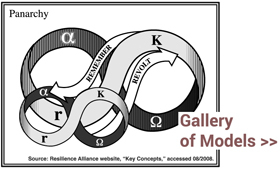 It has always been about resilience, even though the word itself is only more recently in common use. Food system resilience, including food sovereignty: Is this what the local-regional food conversation has been about all along? I wonder what price for oil moots a lot of this, when transport costs eat up the margins. $200 a barrel? $250? Maybe I underestimate the tar sand’s ability to fill the gap, but liquid petroleum, which all the ships run on, seems to be on a steady upward trend to historically high real prices.